It can still happen. The feat, always within the reach of these steel boys, these iron knights, these unparalleled athletes can take place tomorrow and even this weekend in the beautiful circuit of Motorland (Aragon) where the MotoGP World Championship will live an exciting Grand Prix, No. 14 of the season with two riders tied for points (199), Catalan Marc Márquez (Honda) and Italian Andrea Dovizioso (Ducati) , and three other pursuers with the same hunger as them: Maverick Viñales (Yamaha, 183 points), Valentino Rossi (Yamaha, 157) and Dani Pedrosa (Honda, 150) . The world will be waiting for tomorrow if it occurs or not (the weatherman says that it can rain all day and then the test would be frustrated) the private training that Yamaha has prepared for the 'Doctor' at Misano circuit with a very powerful R6 , under the supervision of its chief mechanic, veteran Italian Silvano Galbusera , to whom the 'team' Movistar Yamaha , has asked him before moving to Spain, in theory, to help the Dutchman Michael Van der Mark to drive the Yamaha M1 from 'Vale', approach Misano to see if or not Rossi is about to return, long before the 40 days recommended by his surgeon, Dr. Raffaele Pascarella, who already said that he did not have a crystal ball and that, therefore, "I do not know what will happen, because these guys always shorten the recovery times, anxious as they are to re-pilot." 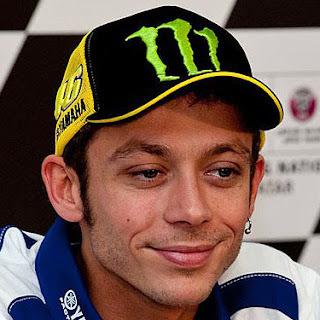 Rossi, who from the first day he left the clinic in Ancona where he was interviewed last September 1st, is locked in his mansion in Tavullia surrounded by physio, recuperators, and machines that accelerate his rehabilitation, wants to test before deciding whether or not he travels to Motorland and on Friday tries to fly his bike in FP1, the first training of the weekend. It is clear that it seems very difficult for Rossi to return before the scheduled deadlines, but if tomorrow, if he does not rain on Misano, he can participate in that impromptu rehearsal with the R1, 'Vale' will have the exact measure of his real state. The Spanish rider Jorge Navarro, who recently over a year suffered the same double fracture Rossi, recently told the newspaper that "human and technical means having Valentino, I think, if it propusies, you could come back Aragon, although difficult, yes. " 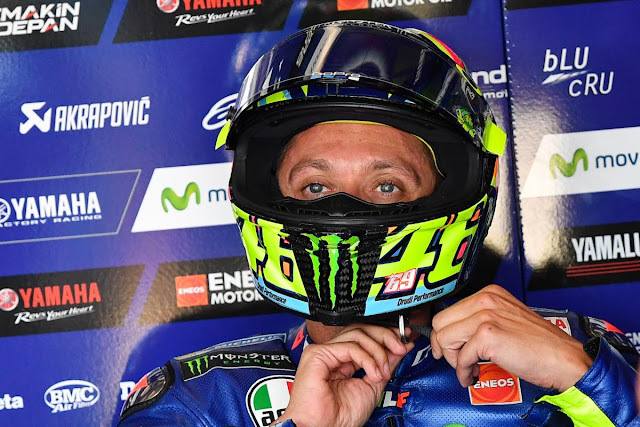 Doctors believe he would be hasty, but also believe it possible and even is convinced that the Italian champion would receive the approval of the doctors of Motorland and the World Cup. "Yes," said a specialist, "if Rossi fell and was unlucky enough that the nail he had inside his tibia bent, then he should definitely say goodbye to the season."